One of the questions we’re asked most often is how a treaty addressing violence against women and girls can actually prevent violence. Good question. Violence prevention is complex, but over the last few decades, extensive research by universities, global institutions and NGOs have shown us which interventions curb violence. 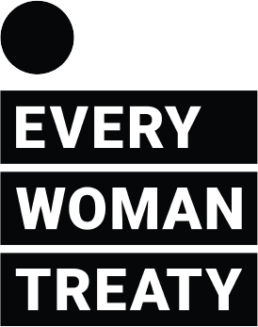 The Everywoman Treaty combines these proven interventions into a comprehensive approach we call The Whole Hand Framework. 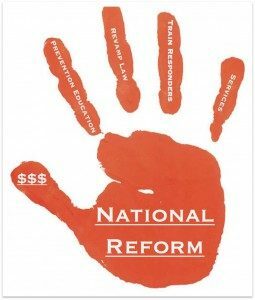 It works like this: The hand is the treaty itself—the highest form of legislation that, through the enormous political pressure treaties create, mandates that states enact national reform, the palm. The fingers represent proven strategies—laws, training, education and services. Separately, these interventions influence various factors related to violence prevention, which often work in isolation. But when combined, the strategies work in concert to drastically lower rates of violence. In other words, strong laws would be backed by training staff in the health, justice, security and service sectors, which would be supported by national campaigns and reinforced by a legal system that holds perpetrators accountable. The treaty scales it—nation by nation, across the globe, impunity ends and rates of violence plummet. Here’s a quick look at each intervention. Revamp laws, including eliminating legislation that perpetuates violence (like laws that allow rapists to avoid prosecution by marrying their victims), and closing legal gaps (such as the US’s gap in protecting girls against child marriage). Train responders. Training police officers, judges, health-care providers and others in the legal and health arena can lead to increased prosecution of perpetrators and better treatment for survivors. Implement prevention education campaigns. Research shows that boys’ and men’s attitudes and actions are influenced by other men. Imagine, then, the power of national campaigns featuring male pop icons, policemen or others talking about respecting women, consent, harassment and violence. School-based programs and community-based campaignshave also been successful at reducing violence. Rates of violence also plummet when women know their rights and feel empowered to demand them. Offer services. Hotlines, shelters, legal advice, job training, support groups and other services ensure survivors receive treatment and protection, and have avenues for seeking justice. Contribute to an implementation fund. Nations often cite lack of funding as a barrier to implementation. Following the example of the tobacco treaty, the Everywoman Treaty calls for a global investment of $1 billion–plus USD annually, with states contributing according to their ability. 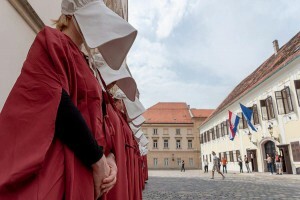 In the months leading up to Croatia’s parliamentary vote on the ratification of the Istanbul Convention, Europe’s regional treaty to prevent violence against women, conservative groups launched a fierce opposition campaign. Croatia’s Bishops’ Conference, several NGOs and members of Restoring the Natural Order: an Agenda for Europe, an ultraconservative Christian network, attempted to distort the issues of violence prevention and gender identity by claiming that signing the Convention would introduce harmful gender ideology into the country and destroy Croatia’s family values. One poster read: “I do not want to be taught at school that I am ‘it’ and not a girl” next to a picture of a girl. At press conferences, opponents repeatedly suggested that allowing for other gender identities other than “man” or “woman” would actually lead to violence because a man could say he felt like a woman, demand to use the women’s toilets and attack women. On several occasions, opponents said it was not proper for a wife to report her husband to the police. Women’s human rights groups fought back. “We came together to explain why ratification was important,” says Sanja Sarnavka, an Everywoman Working Group member and prominent human rights activist in Croatia. The groups held protests, met with Members of Parliament (MPs), and worked with journalists to publish stories on the benefits of ratification at the forefront of the national dialogue. Sanja participated in multiple television and radio debates, and initiated a letter-writing campaign to the leaders of the Social-Democratic Party (one of Croatia’s two major political parties), signed by leaders of the most visible women’s human rights groups, explaining the importance of ratification. On April 13, the day of the parliamentary vote, Sanja and other activists placed silhouettes of women who had been murdered by their partners or close relatives at the entrance to the parliament building to remind MPs what they were voting for or against. In the end, 110 MPs voted in favor, 30 against, with two abstentions, and the Council of Europe Convention, best known as the Istanbul Convention, was ratified.